Located on New Providence Island, Nassau is not only the political capital of the Bahamas Islands, but also the travel capital of the entire island chain. An entire book could be written on this small area of New Providence Island, and while wed like to be as informative as possible, if you plan on staying in the area for more than a few days, you should grab a travel book from one of the local bookstores on your arrival, or bring one along with you. We will concentrate on the marine-related aspects of the city. In the image above, several major landmarks of the city are visible. To the right (south) is the expansive cruise ship terminal where all manner of cruise liners come and go at all hours of the cay. 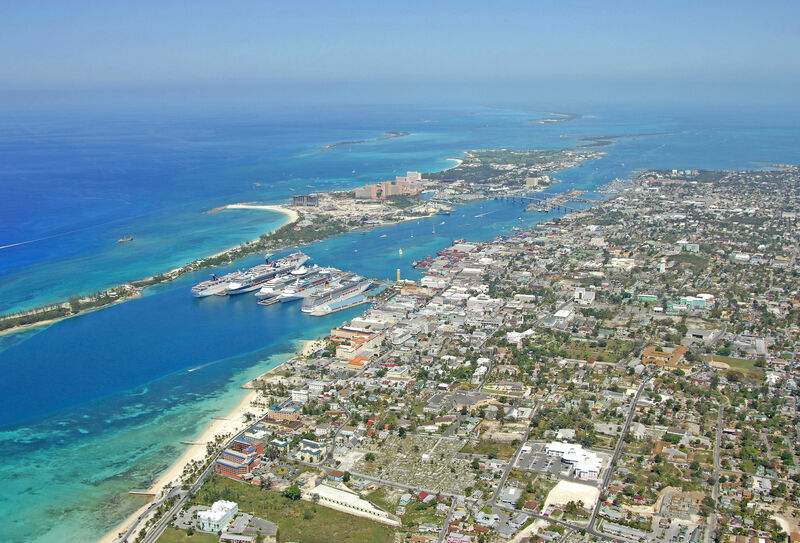 To the left (north) is Paradise Island, and the large Paradise Island Resort complex. 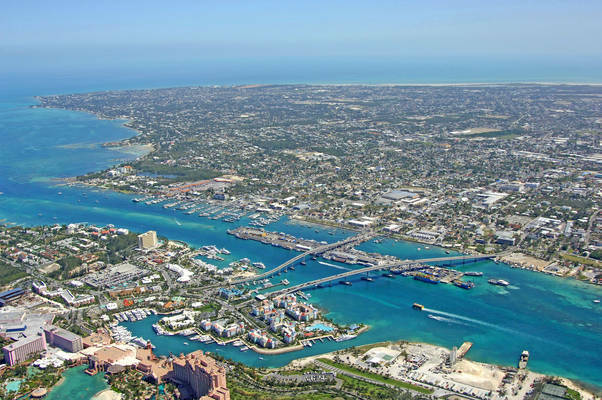 Toward the middle of the image are the twin Paradise Island bridges (high fixed clearance), around which several marinas and the heart of boating activity take place. The Atlantis Marina is located on the grounds of the Atlantis Resort just west of the high fixed bridges in Nassau Harbor, but dont plan on staying here if your boat is less than 40 feet in length - they dont allow small boats, but rather cater to large mega-yachts with money to burn (the marina cost a reported $20 million to build. For those with a little less cash to burn, there is the Hurricane Hole Marina, which is located just to the east of the bridges at Atlantis. This marina is centrally located right next to the Atlantis Resort and good beaches. 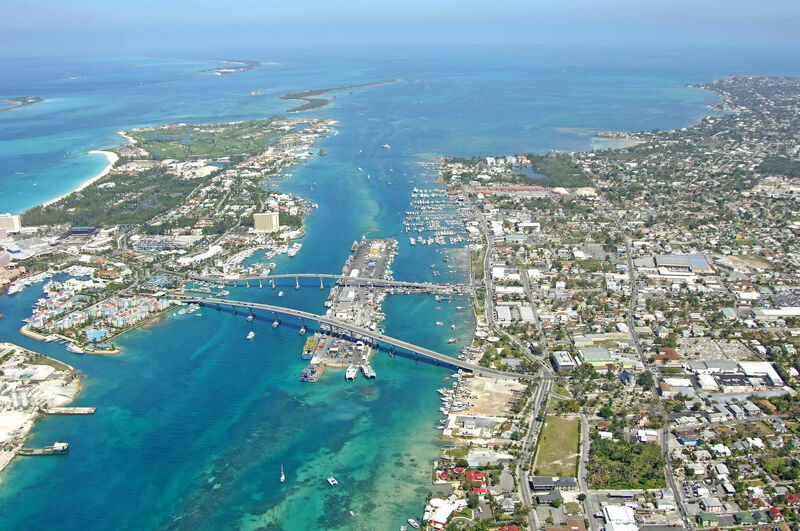 The Nassau Yacht Haven and several other marinas line the south side of the harbour and offer a variety of services. If laying out your hook is more your style, there are plenty of areas to anchor our moor out, but one must consider the hectic pace of traffic and coming and going of ships and recreational boats. If it is a busy weekend or holiday, sometimes the traffic is nonstop and quite loud and raucous. 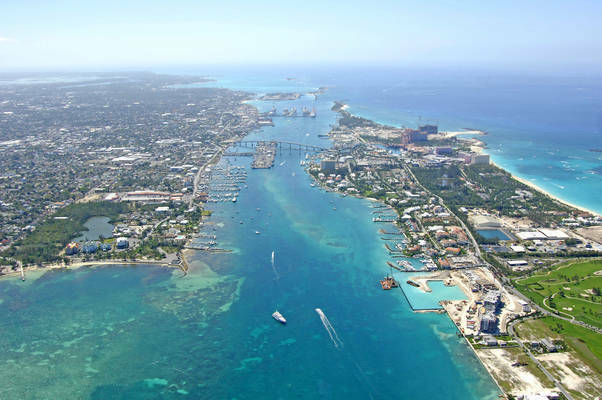 Nassau Harbor can be entered from the east or west via two very different passages. 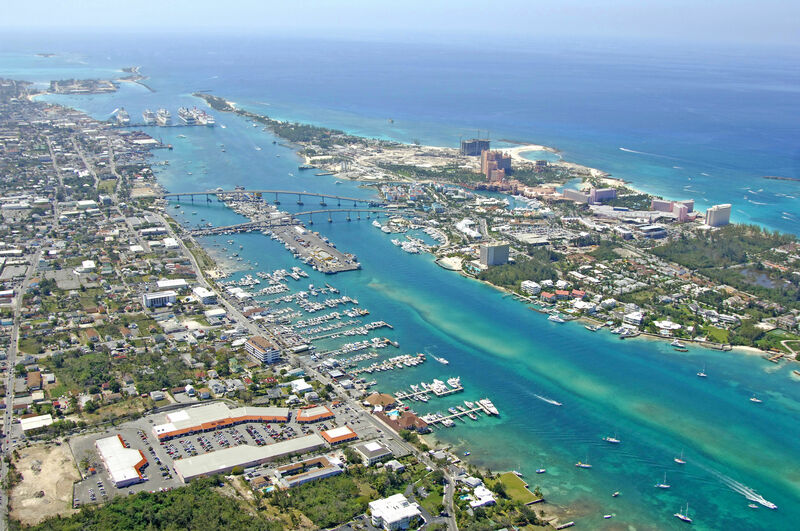 Visible below is the very reliable, very deep (39- to 45-foot depths), and very well marked main entrance to Nassau Harbor, which is located off the west end of Paradise Island. The approach to the harbor begins near waypoint 25 05.476N 77 21.383W. Once you have arrive din the are of the waypoint above, set a course for and follow in a course of 149 degrees true for about a half-mile until you reach flashing green buoy 7. Once you have cleared this buoy, you can proceed east into the heart of Nassau Harbor, keeping an eye out for departing cruise ships at the passenger piers. Alternatively, you can use the passage to the east between Paradise and Athol and Paradise islands known as The Narrows. From the New Providence Channel, set a course for the area near waypoint 25 05.439N 77 17.338W, and once you have reached the waypoint, set a course for and follow in a course of 160 degrees true for about .7 mile, minding the reefs lining the west side of the passage, especially the small island that juts out from the east side of Paradise Island. Inside the passage mind the depth-sounder and proceed through the slightly twisting channel (there is a buoy placed on the south side) until you drop out on the east side of Nassau Harbor. Depths in the channel are about four to six feet. For a detailed calendar of events for the area, see the Helpful Links section below. 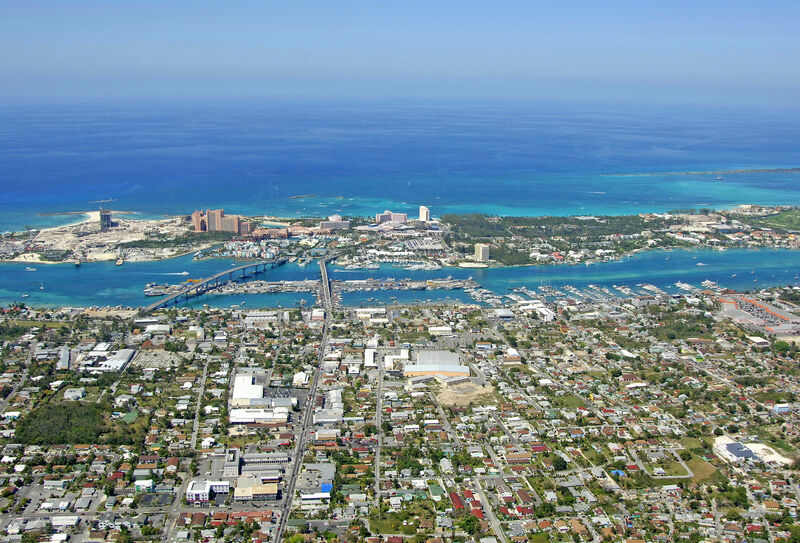 The Nassau International Airport is located in the central portion of New Providence Island about about eight miles to the west of downtown Nassau, and features daily non-stop service to Miami, Fort Lauderdale and surrounding areas of the Bahamas on regular daily schedules. There are no city busses available to transport you to the airport, but taxi cab service is widely available throughout most of Nassau and the surrounding areas. No reviews yet! 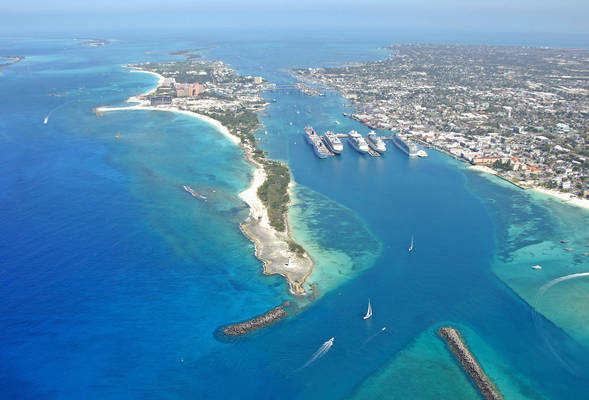 Be the first to write a review of Nassau Harbour.